I can morph into a mood inspired by new sense perceptions. I drown in the colors and shapes and conversations which sometimes become poetic, or possibly melodramatic. Consciously and unconsciously this is how I move through the world. I woke from heavy dreams- a three-part series- and quickly jotted down the happenings and my interpretations. Pleased to set down my journal and let it go, I made coffee and picked up M Train by Patti Smith. I hadn't felt obsessed with it the way Just Kids roused me, but I've begun to realize I have been overlooking its subtly. The first book inspired quick steps to pavement- I consumed her words ravishingly- missing bus stops and carrying her story in my arms like a bible. But this book is a dream, a quiet breath, an invitation to slow down and notice. 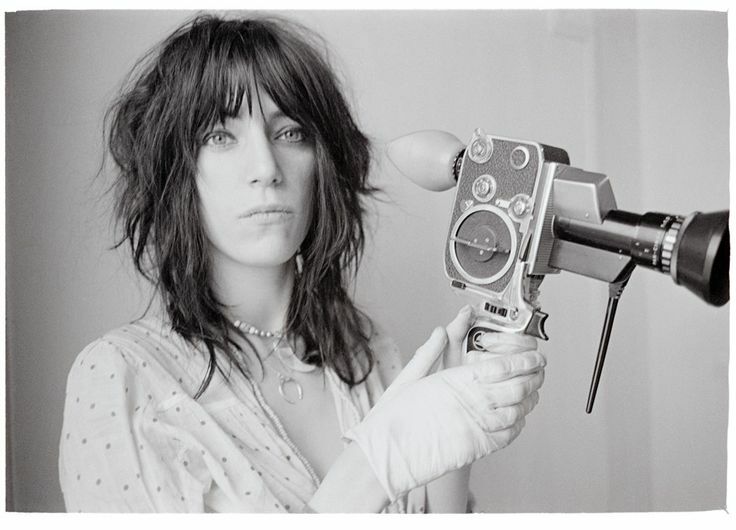 I imagined Patti having seen it all, done it all- but it's her relationship with the mundane and simple where she captures my heart. Her words are refreshing and cathartic. I feel permission to see my story as beautiful without needing more. I have been curious what it is to move away from expectation- instead of asking for things to be different- looking at them. M Train is an act of noticing and being with life. It's spaciousness for that which is felt but not always understood. It settles me into calm. There is no need to carry anything false. There is no need to hide from the shadows. Her writing is exposing. Recently in Brooklyn I walked between abandoned warehouses but sensed a palpable charge. Art is everywhere. Some pieces are incredibly detailed and vibrant while others feel like a sudden burst of output without much skill. This humbled me. It seemed simple- unnecessary to think too much about creation- to just output. Undercurrents of winter and its darkness loomed, but it was also easy to be with. The streets were exposed. I felt exposed. The east coast folds you into a unique cycle. The weather mirrors your emotions and becomes the base with which you process and express yourself. During my time living in Syracuse, NY I walked in blizzards to buy food. Light disappeared at 4pm. And without realizing it I let my shadows out. But from this darkness birthed the surprising delight of blooming through Spring's melted snow, a rawness of Summer's humid sweat and a crisp breeze through rainbow Fall leaves. I felt close to the Earth and I appreciated having to adapt to a force greater than myself. I left my New York experience and packed up to move home to California. In making this choice I committed myself to San Francisco. I desire a softness and openness I've only found on the west coast. Time stands still- especially lately with the drought- the sky is always filled with sun rays and the air fresh. I am happy and comfortable. New York was good for me. New York was not easy for me. I studied. I felt heartache. I let go. I explored. I felt alone. I found art. I made love. And I took down a mask I didn't know I was wearing. I wonder what thoughts I may forget to touch living in the sun. But at least I have my mornings with Patti where I fall into stories of her winter coats and coffee rituals and the sweetness of every moment. I can only do my best to be honest.